Metro Self Storage offers large, medium, and small storage units to help you declutter and take back your garage, home office, and closet spaces. If you are moving in Alcoa or relocating from another state to work here, our friendly storage professionals are happy to share their tips on moving services, neighborhoods, and how to pack your unit efficiently. With a storage unit, you can create an extra closet space with a budget friendly 5X5 storage unit or share a unit with a family friend and store things like camping and fishing gear and holiday decorations. If you operate a business near the McGhee Airport and need commercial storage, consider a renting a business storage unit with affordable flexible leasing and without the hassles of expensive commercial leases. Do you already know the storage unit size you want to rent? We make it simple to reserve your unit or parking space online with our no-risk storage hold. If you reserve your storage unit online you can also take advantage of our promotional storage rates. Not sure what size storage unit you need? No problem. Call or stop by for a consultation with our friendly on-site Property Manager. 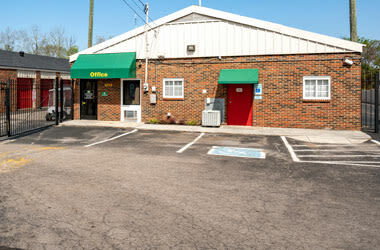 Are you looking for business storage in Alcoa, Tennessee? 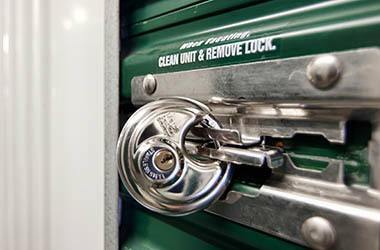 Our well-maintained and clean storage facility offers access 365 days a year. We make it our priority to provide the best commercial storage units available in the area. 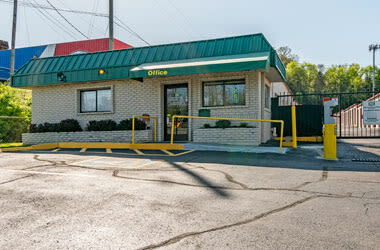 Our single-story facility offers commercial parking spaces near McGhee Tyson Airport with month-to-month rates. A wide range of drive-up storage units will help you move business inventory, tools, and equipment more quickly and efficiently. Additionally, with security cameras located throughout the property, you can enjoy peace of mind knowing we have 24-hour digital surveillance to safeguard our Alcoa storage facility. Ideally located in the Knoxville metropolitan area, our town’s namesake, Alcoa, is also one of Blount County’s largest employers. Our family-friendly town boasts an ideal location near big-city amenities and abundant outdoor recreation. Look forward to these experiences when you move to Alcoa, Tennessee. Outdoor Recreation and Sports: Alcoa features a well-maintained greenway with more than 15 miles of paved trails that wind to Maryville in addition to tree-covered parks, athletic fields, and pools for active families. Shopping: Alcoa residents can drive 15 minutes to Knoxville for an urban shopping experience or stay in right here in town to shop at Hunters Crossing and Hamilton Crossing on Highway 129. Blount County Festivals: The FreedomFest in June, the Slimfest, the Smoky Mountain Woodcarving Festival and the Foothills Fall Festival are four popular family-friendly festivals held in or near Alcoa every year. If you are moving to Alcoa or Maryville and need to rent a storage unit, you can count on Metro Self Storage to provide you with clean and secure storage units at a great value.